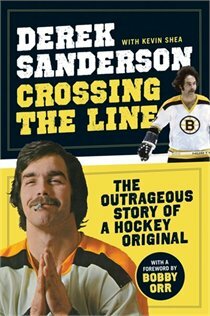 Great news for Derek Sanderson and author Kevin Shea - their new book Crossing The Line is going to be turned into a movie. We’re apparently not alone in thinking that the life and times of Derek Sanderson would be fodder for a good biopic. We got word Monday that actor/director/producer Edward Burns is working with “Akeelah and the Bee” writer/director Doug Atchison on a film about the flamboyant former Bruins player. Here's the full story. Here's the link to the Crossing The Line book review.